iPhone the dream project from Apple is coming with a new phone iPhone 6 which will have the best in class touch-id sensor. iPhone brought a big revolution in the mobile world as they came up with iPhone 5s in yearly 2013 with the concept of touch id sensor in form of finger scanning. Apple has planned to enhance the touch id technology in all upcoming phones. This feature earlier has brought in a lot of reputation to Apple. iPhone 6 will have a different touch panel in comparison to earlier phones and also place screw holes in different areas. There was some performance issue in touch id for 5s earlier, so giant is not leaving any stone unturned to make flawless touch id in new iPhone. Rumors suggest that Apple will be coming with iPhone 6 in two variants of screens 4.7 and 5.5. 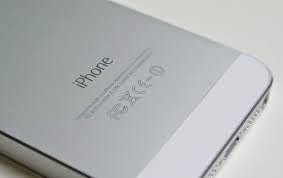 The phone is expected for release in September 2014. The mobile giant will work on realigning the panel of the phone for its upcoming devices. There are also rumors on redesigning of shells for new phones which will increase the security of the phone as well. Company is trying to give a sealed proof of id scan. If the final product appear as claimed, it will be one of its category in mobile world.